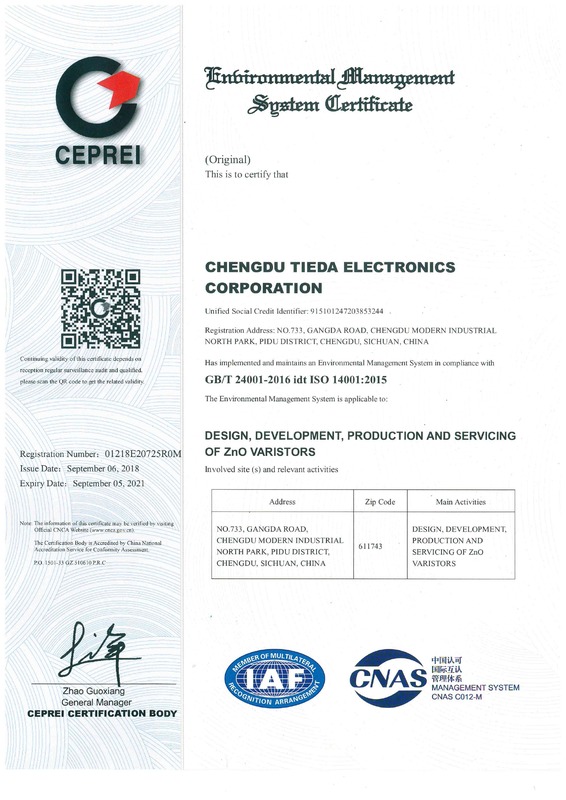 TIEDA got ISO14001:2015 Certification on Sep 6, 2018. It's an important step to fulfil our commitmet on the environmental policy. We'll continuously improve and ameliorate the effect on the environment so that the impact of our activities on the environment is minimized to the maximum possible extent.